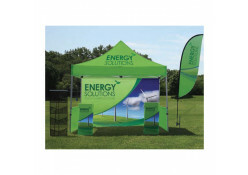 These packages all include a durable, yet easy to set up event tent with custom graphics. 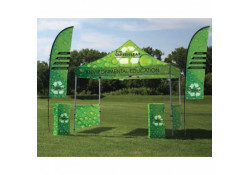 These displays offer signage and branding on all sides of the event tent in order to draw attention to your booth from across the park or event area. 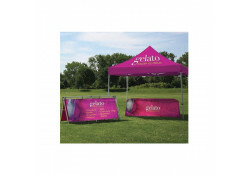 Offering a shady spot or just a spot out of the rain allows your customers an area to view your merchandise or talk with you!